This beautiful historic tenement house was established in the second half of the 19th century. The construction works were probably completed in 1877. This building, one of the most impressive tenement houses in Legnica, was supposed to become finally the so-called “Tenement Palace”. Occupied by representatives of the then aristocracy and financial leaders, modeled in the Viennese style, it was a real showcase of the bourgeoisie, and its location in the town center provided the additional value in terms of representation. The founders of the “Tenement Palace” assumed the use of unoccupied space for rental purpose of business representatives and wealthy persons of that period. 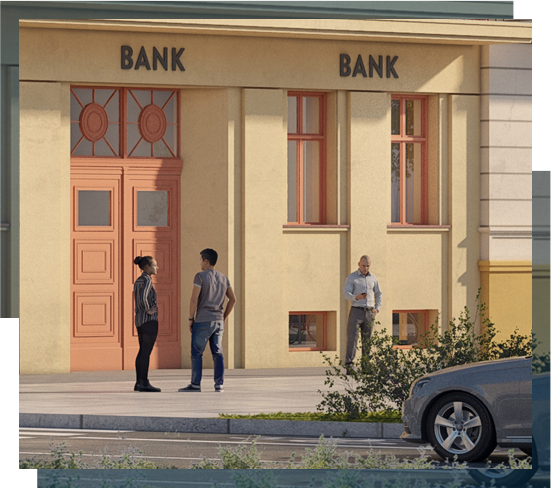 Among other things, this is why the ground-level part of the tenement house (ground floor) became the seat of the Regional Bank, and more precisely of the Branch of the Silesian Regional Bank in Wrocław. Its director was Curt Schumm, a well-known enthusiast of photography and chronicler of Lower Silesia, who at that time lived in apartments on the top floor of the building. After Curt Schumm’s death (10.02.1945), the tenement house was taken over by the Russians. It became the seat of The Garrison Headquarters and a hotel for Soviet citizens who had been sent to work and military service to Legnica and were waiting for the assignment of a service apartment. Around 1970, the building was adapted for apartments for Soviet officers and their families. It is worth adding that compared to other accommodations those apartments had very high standards. In 1987 the tenement house came at last into possession of Polish authorities. Taking up this difficult task, we want to meet the highest requirements. Satisfying the needs of future buyers is one of our most important priorities, which is why all works will be carried out under the supervision of the historic buildings conservator. We want to make the future buyers enthusiastic about the neoclassical style combined with modern solutions taken from the modernist style. Over the years, the front external wall has undergone several renovations. This is evidenced by the remaining layers of paint and façade plasters. However, original plasters, profiling of window frames, cornices, decorations and sculptural friezes have been preserved. On this basis, we are able to determine the original shape of the façade and restore it to that condition. Old layers of plaster will be removed with the obvious preservation of the original details. After performing the works involving the cleaning, insulation and revealing the original look, the plastering and painting will be carried out. For this process, a lime plaster with hydraulic lime and pure mineral paints without any acrylic admixtures will be used in accordance with Conservator’s recommendations. The colors of the façade will be restored in detail due to the design, and materials of the highest quality designed for the renovation of old historic buildings will be used in the course of our works. 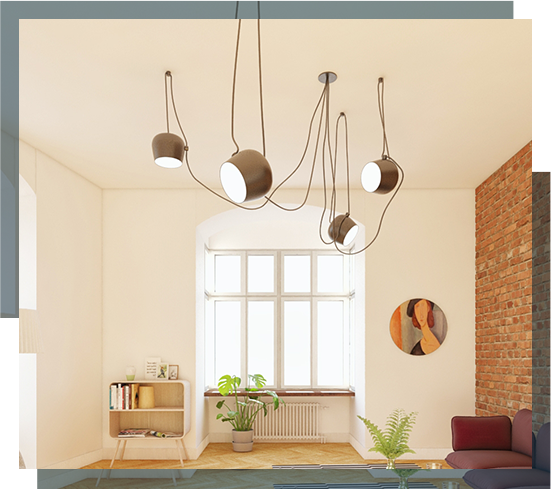 All windows in the tenement house will be replaced with new ones with the Umax = 1,1W / um2K coefficient and sound insulation within the range of 25-32 dBA, with micro-ventilation, the highest quality FLOAT glass panes with the obvious consideration of the original layout and color. Wooden window sills in the color of the window frames. It was found out that the window frames were light red. 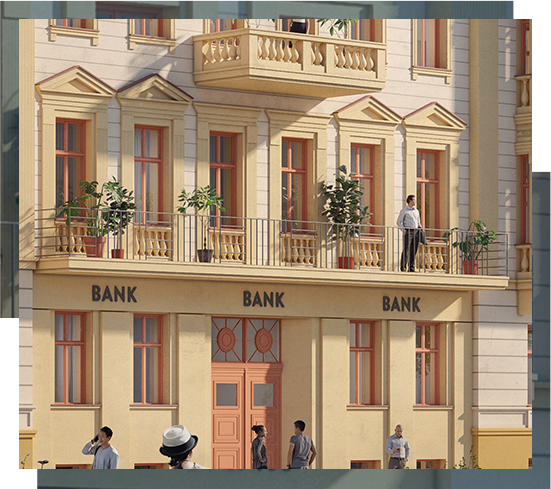 The entrance doors to the apartments and commercial premises will be made of wood in the style of the time when the entire building was constructed. The entrance gates, which originally were slightly darker, will be completely restored. The carpentry repairs will be carried out, including the completion of missing profiles and sculptural details. The main entrance will regain its former splendor from the time of its glory. An undoubted aesthetic advantage of the building’s look was the metal balcony railings. However, the passage of time has left its mark on them. Since we want to restore the building’s residential appearance, we will also take care of these components. The missing railings will be accurately reproduced and completed, and the black matt color will definitely add elegance and style to them. In order to ensure security for the future users of apartments and commercial premises, all installations in the building will be replaced with new ones. Heating and hot water from the municipal network will be used, and individual premises will be fitted with smart flat stations, separate heat, water, and electricity consumption meters. The water and sewage systems will be individually adapted to each apartment and premises and new electrical installations will include lighting, IT sockets and electrical sockets. In order to increase security and based on the 21st century solutions, a modern intercom with an IP camera system will also be installed. External monitoring of the building and yard as well as internal monitoring in corridors and stairwells. The shape of staircases will be the perfect example of the combination of the style in which they were originally made and modern solutions. Elevators will be installed to make life easier for future residents. 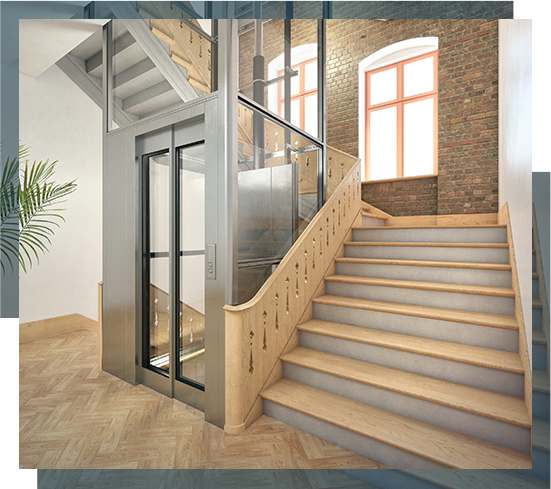 The glazed elevator shaft will give the interior a modern look without simultaneous visual restriction of space. The use of glass will not disturb the layout of the interior, the view of the beautiful antique stairway railings and floors. We are convinced that it will give the main hallway prestige and elegance. Wooden stairs and railings will be coated with fireproof R60 class varnish. In stairwells, automatic smoke extraction systems will be used.